After Jeronimo Yanez acquittal, Philando Castile should be the NRA’s perfect cause célèbre. Why isn’t he? Philando Castile Should Be the NRA’s Perfect Cause Célèbre. There’s Just One Problem. 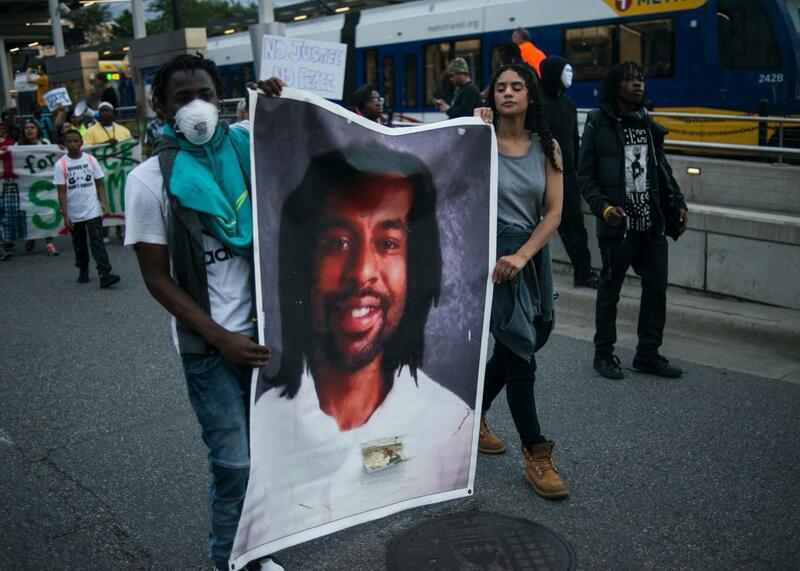 Protesters carry a portrait of Philando Castile on Friday in St. Paul, Minnesota, after Officer Jeronimo Yanez was acquitted on all counts. On its face, the Castile case would seem to have all the trappings of a cause célèbre for the NRA. The group’s most fiercely held belief is supposed to be that law-abiding citizens shouldn’t be burdened—let alone killed in cold blood—by repressive agents of the government just because they want to protect themselves and exercise their Second Amendment rights. Castile should be a martyr for the NRA while Yanez—who reached for the holster of his service weapon as soon as Castile mentioned he was armed—should be its boogeyman. It feels banal to even say it out loud: If Castile had been white instead of black, the NRA would have been rallying behind him and his family since the moment of his death and fundraising off his memory for the rest of time. Yes, it’s true that the organization is aligned with law enforcement in certain ways that partially explain its reluctance to get in the middle of a police shooting case. (For one thing, most of the NRA’s 5 million members, like most police officers across the country, are white and conservative.) It’s also true that, while many law enforcement leaders view the gun lobby’s most extreme policy goals—like concealed carry reciprocity—with serious unease, most rank-and file-cops do seem to believe that having more people around carrying legal guns would reduce, rather than increase, crime rates. It also doesn’t change the fact that the NRA has chosen to stay on the sidelines of a case that should, by all rights, be the perfect example of everything their movement exists to oppose. Well, almost perfect.